In the Martin & Sylvia: Saturdays! story "Four in One Snow Forts," a sudden snowstorm results in two feet of perfect packing snow — and brother and sister want to make snow forts. When their friends Jonathan and Sasha join them, the four of them start on four very different forts, but by days end, they decide to collaborate on one fort — a fort that features all four different styles. This week at Sparkle we are getting outside, whatever the weather, and that could mean it's hot outside or very cold. The story of Martin and Sylvia and their friends playing all day in the snow reminded me of being a kid and making my own snow forts. My friends and I would use a bread pan to make bricks, but by the middle of the day my hands would be so cold (because I had no snow gloves — it doesn't snow that often in the high desert) that my mom would need to layer two or three pairs of thick socks on my hands. I would have loved to keep something warm in my pocket to thaw my hands so I could stay out longer. 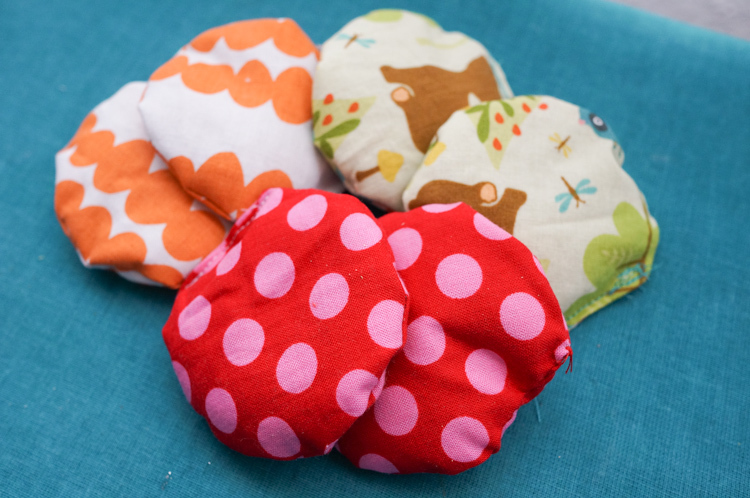 In case it's cold where you are, we've created these very easy-to-make pocket hand warmers. I'll be using them on our winter trip to the mountains this week. Just pop them in the microwave or in a low oven for a few moments to warm up the rice or beans inside. 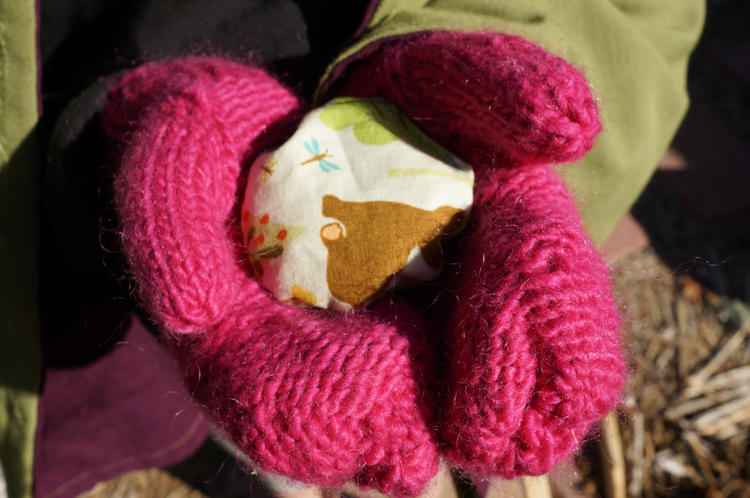 They will stay warm for quite awhile and that will help keep little fingers nice and toasty — and hopefully help your family enjoy the outside longer. 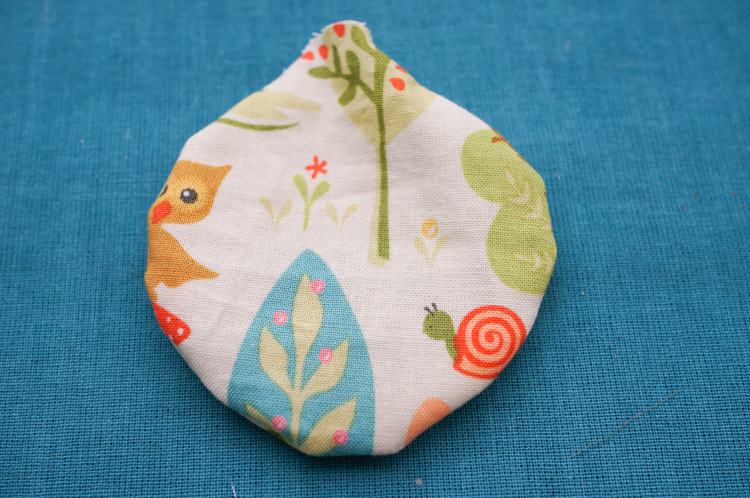 Begin by tracing out the shape of your hand warmer on the back of the fabric. 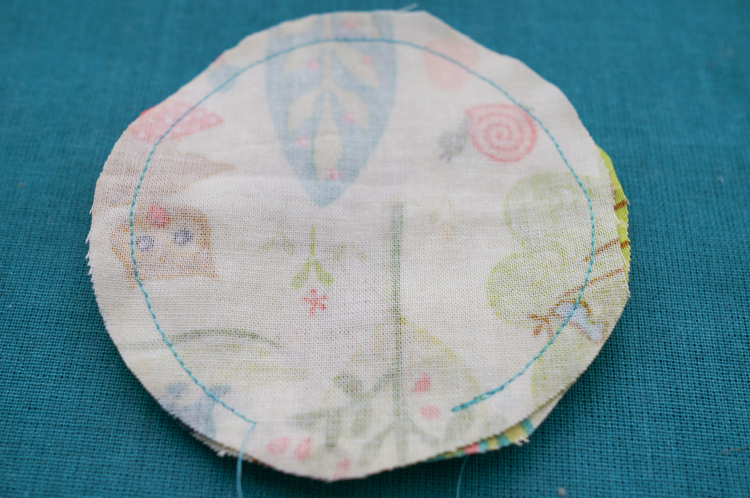 You'll want the circle to be ¼-inch larger than the finished product as you will lose a ¼-inch all around from sewing the seam. 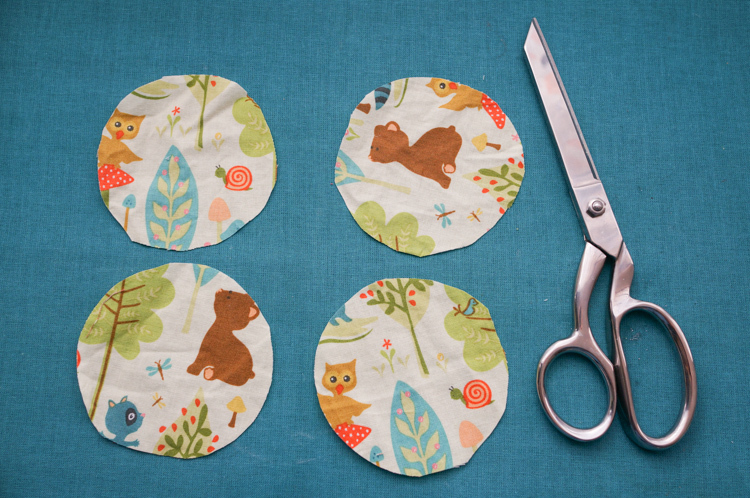 Trace and cut 4 pieces from your desired fabric. 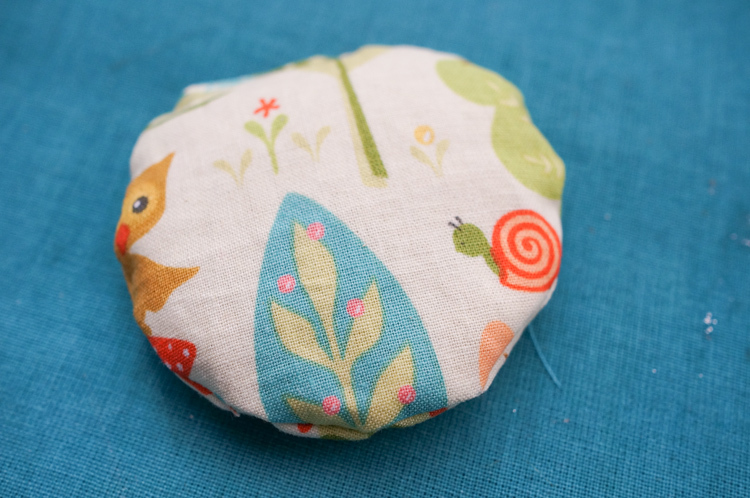 With right sides facing, begin sewing at ¼-inch from the edge. 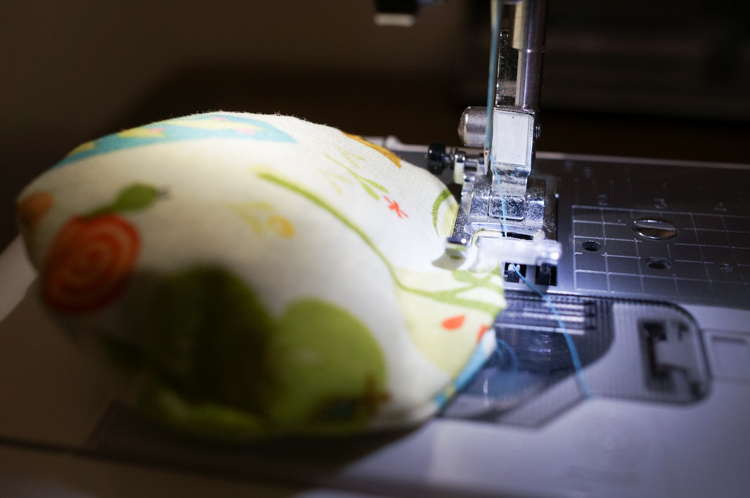 Sew all the way around until you are an inch away from where you started. 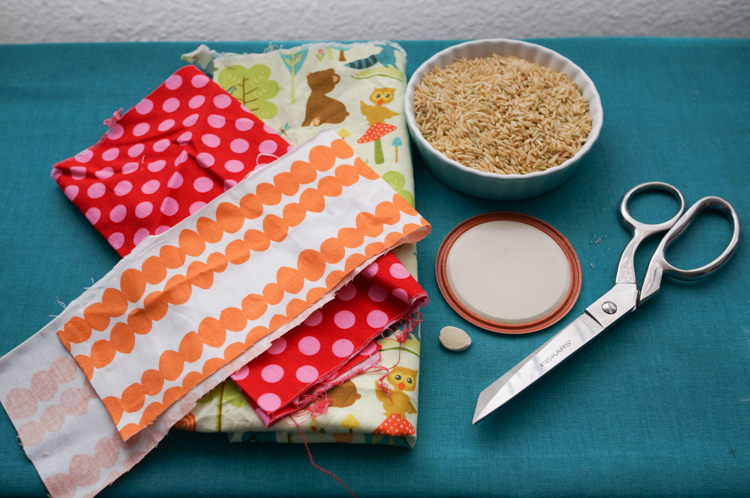 You want to leave this space open so you can turn out the fabric and fill it with rice. 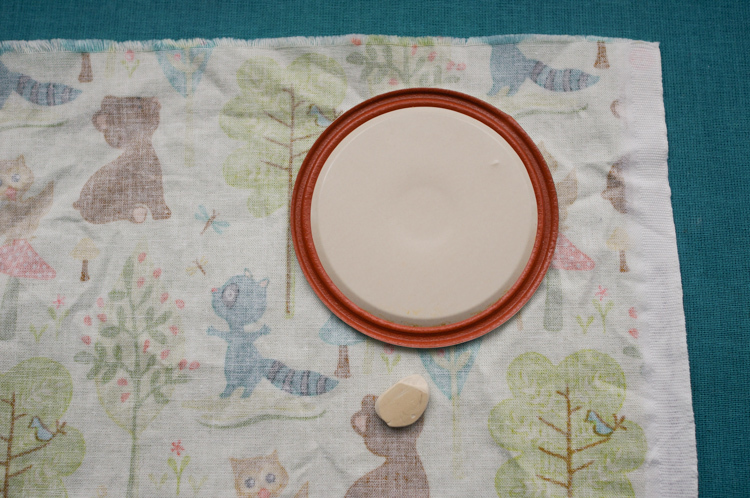 Turn the fabric right side out and smooth out the fabric. 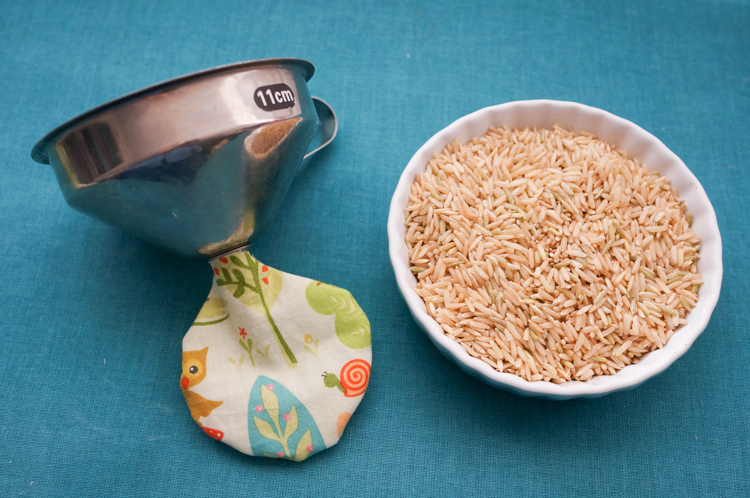 Using a funnel, pour the rice into the little pocket. Fill almost to full. 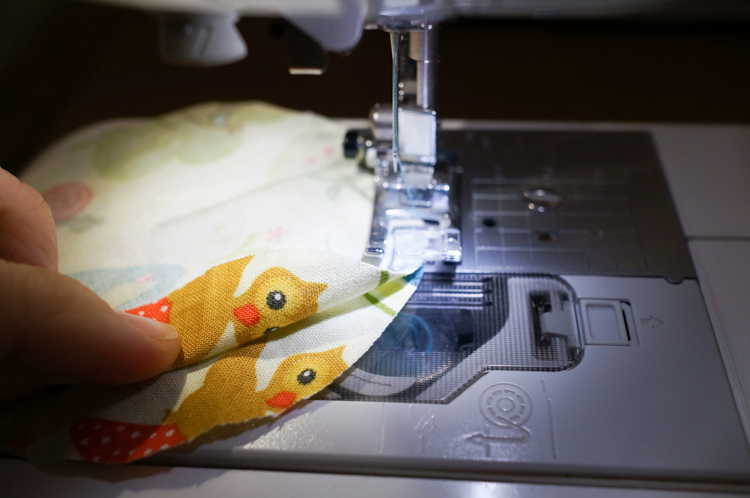 Turn the edges in and sew them shut with your sewing machine. Or hand sew them shut with an invisible stitch. Repeat for the remaining hand warmers. Pop it in a microwave for 30 seconds or in low oven for a few minutes until they are slightly hot to the touch. Put them in your child's pocket and send them outside!